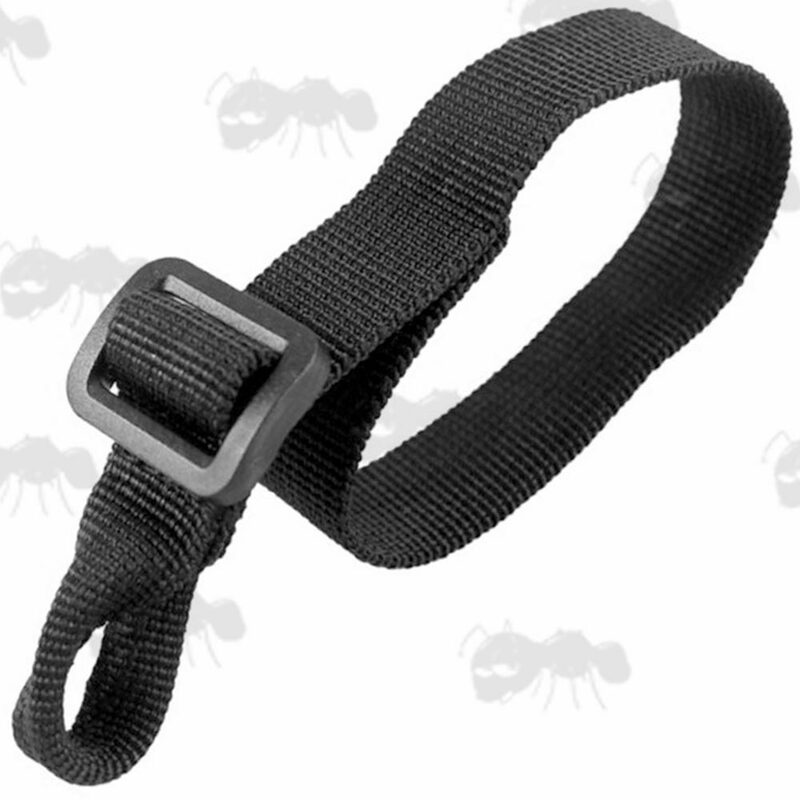 Nylon strap stock sling fitting loop. The overall length, end to end is 29mm. 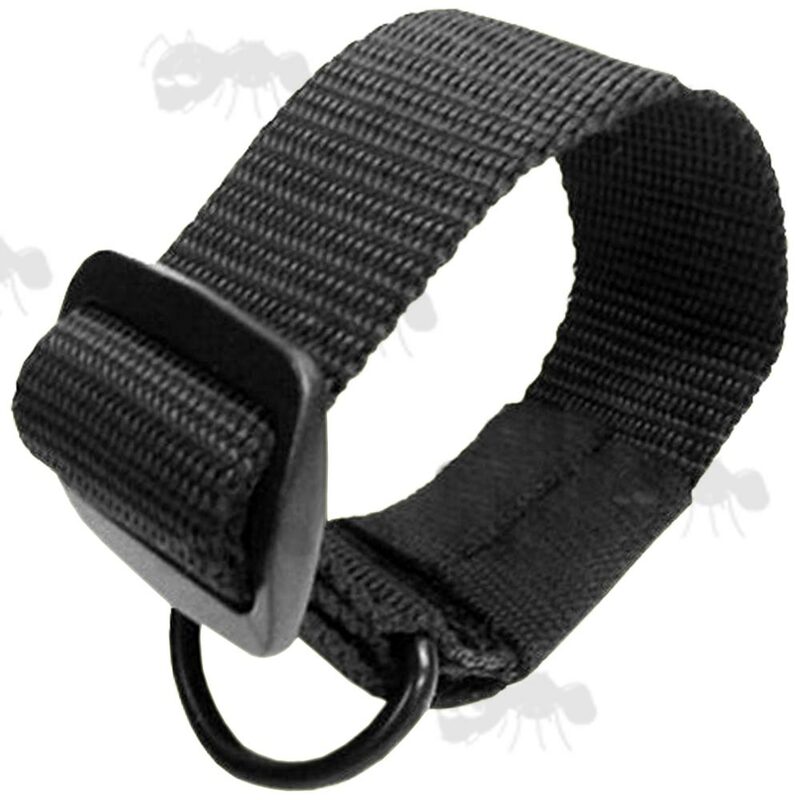 Heavy-duty nylon strap with metal D-Ring. The overall length, end to end is 40mm. With plastic tri-glide buckle for length adjustment. For converting standard setups to three point / single point carry. Secure, user friendly and fast to fit and remove. 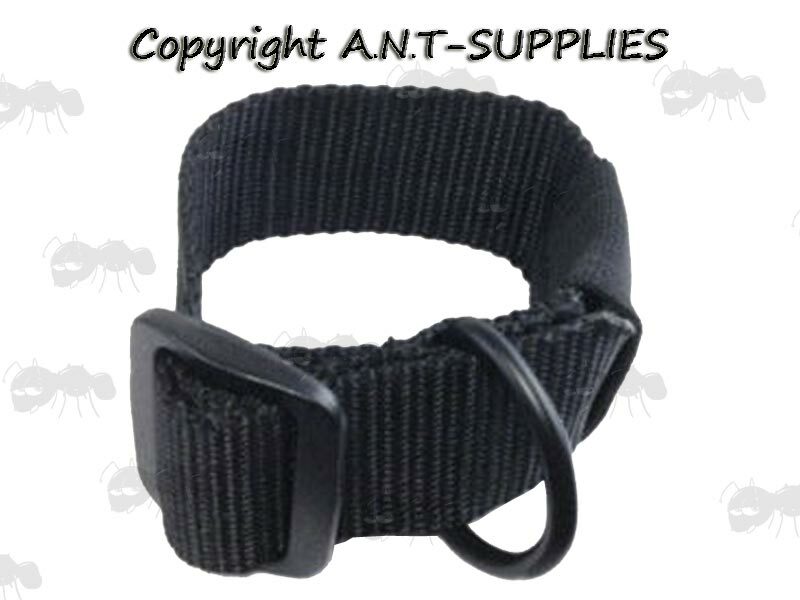 Perfect for testing a new sling in a different configuration. Fits most buttstocks ~ wooden stocks M1, M1A, 10/22 although it may interfere slightly with your grip. Carbines / AR-15 rifles, best with A2 stocks, will fit adjustable stocks but may hinder adjustment. Please note: not recommended for heavy firearms, where a fixed / sling plate would be best. 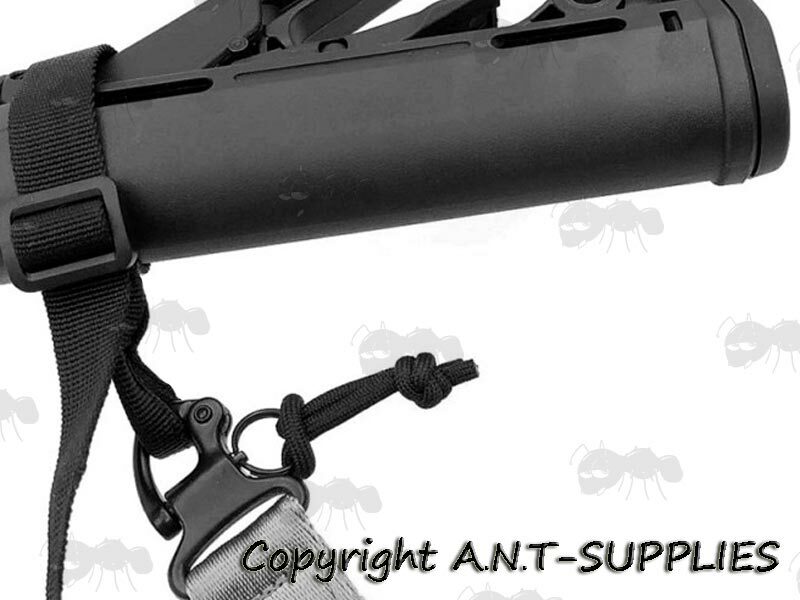 Also available ~ universal no-swivel gun slings.